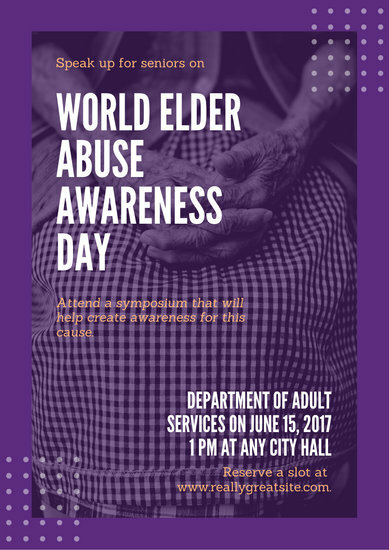 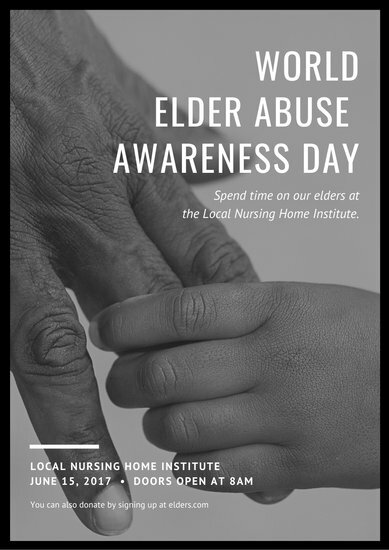 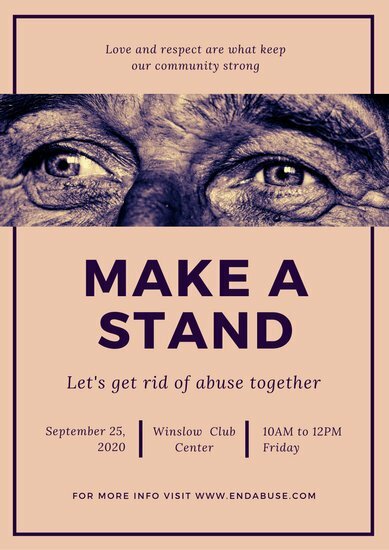 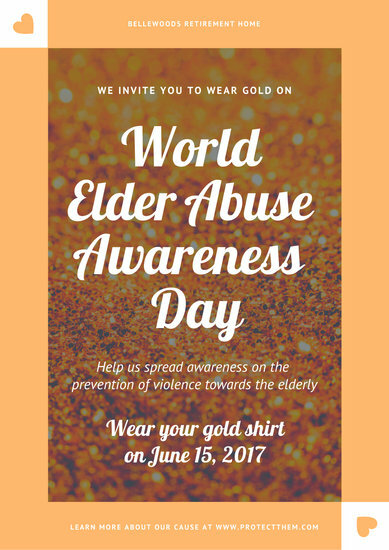 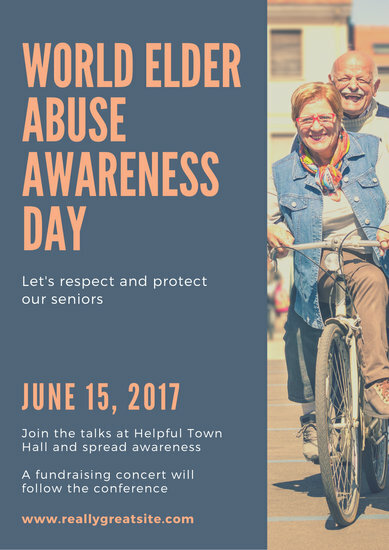 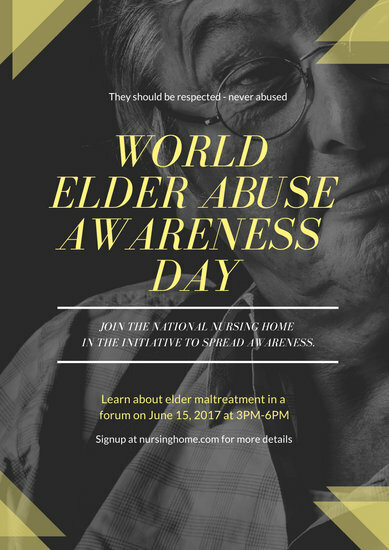 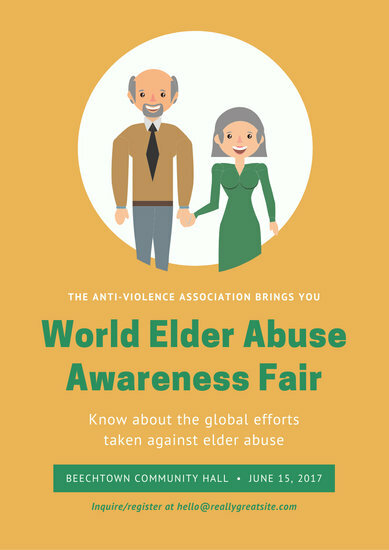 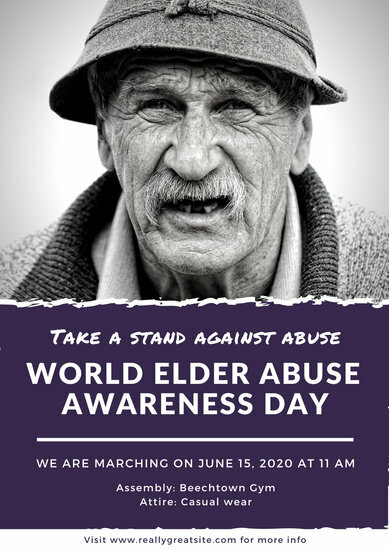 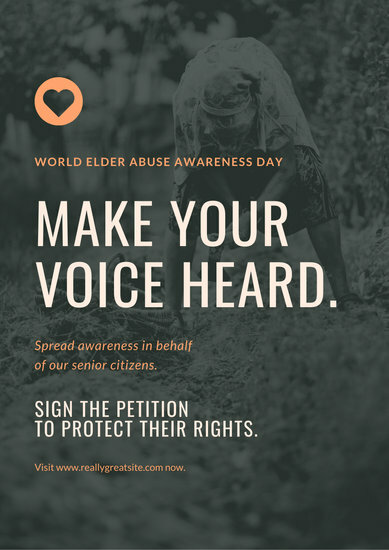 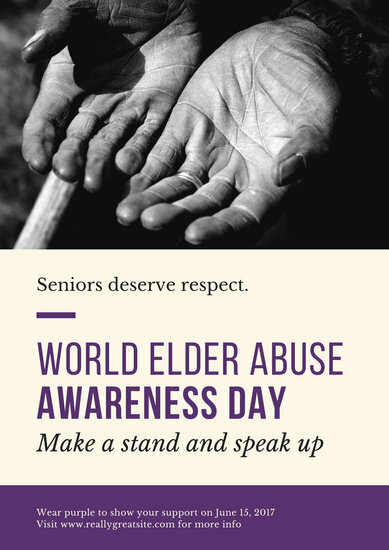 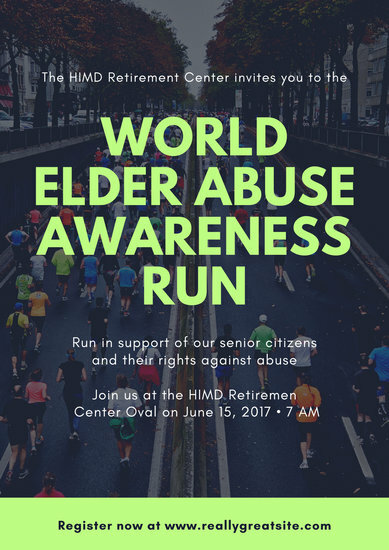 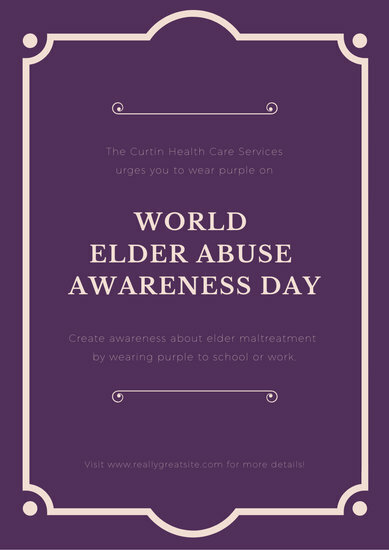 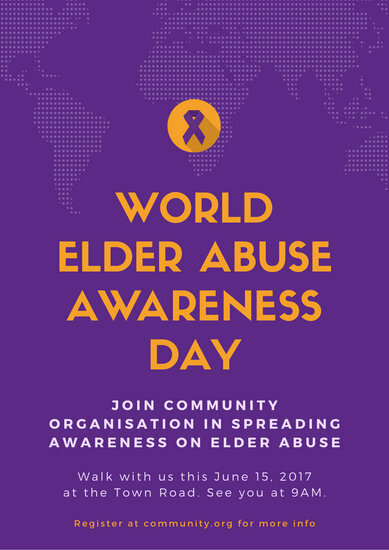 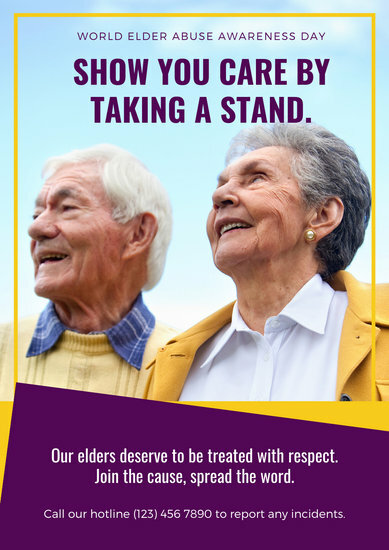 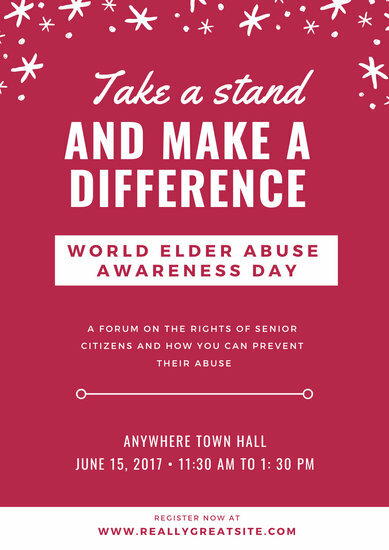 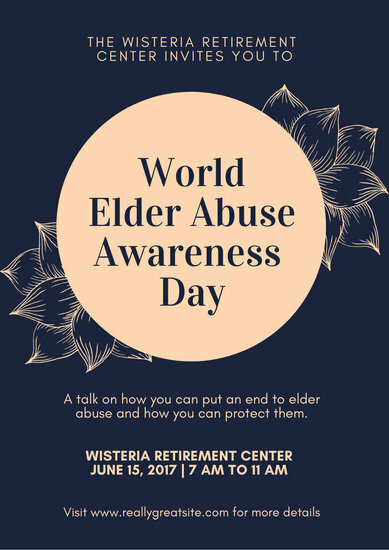 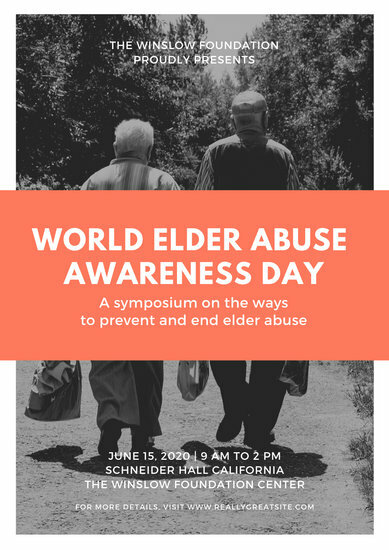 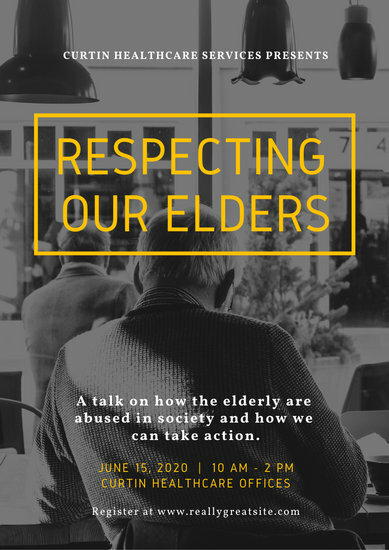 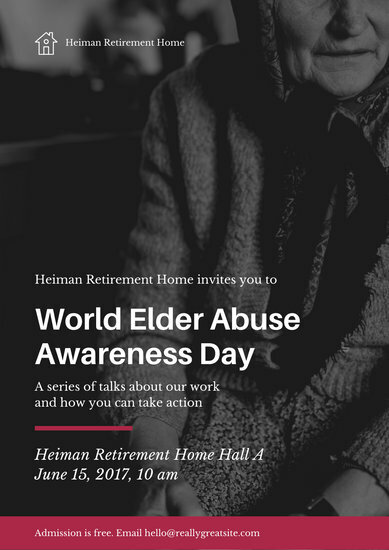 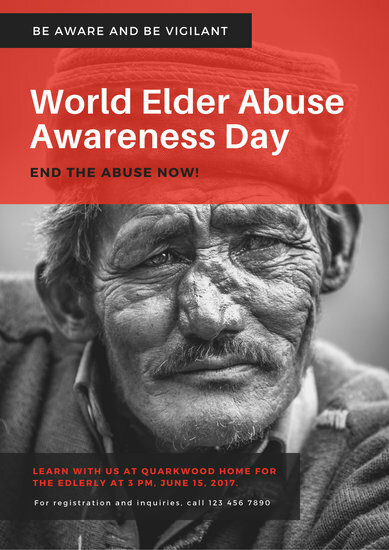 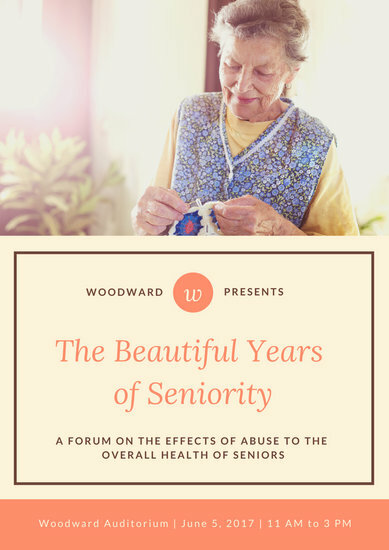 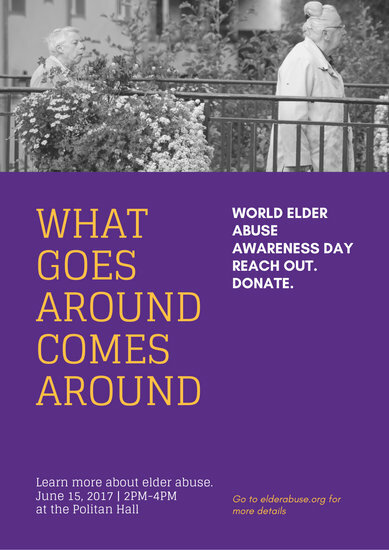 Raise awareness and inspire action on World Elder Abuse Awareness Day using Canva's collection of professional poster templates. 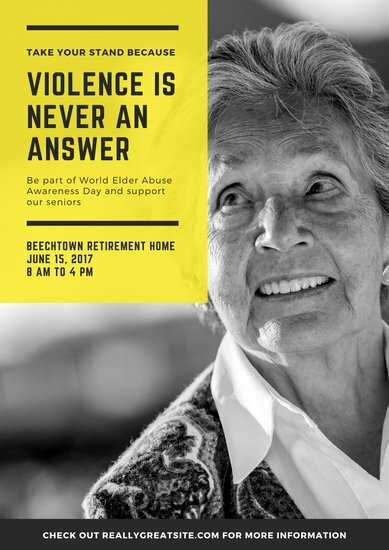 When we talk about human rights, we're made aware of exploitation and suffering experienced by everyone across the globe, young and old. 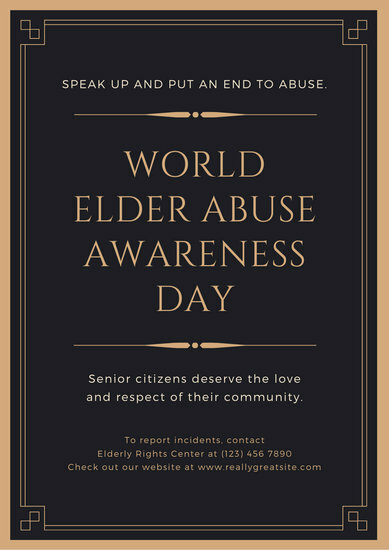 More often than not, the issues surrounding elderly abuse aren't addressed as much. 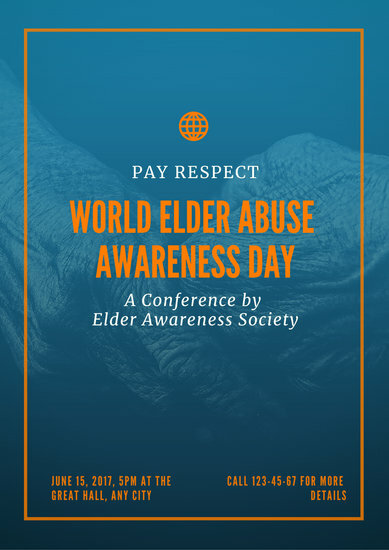 In the hopes of shedding light on this important issue, the United Nations declared June 15 as World Elder Abuse Awareness Day, the single day in the year when people are encouraged to fight against oppression and abuse inflicted on the older generation. 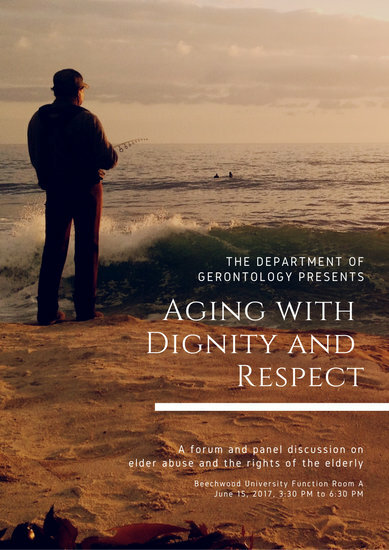 If you wish to organize a forum focusing on the unfortunate plight of the elderly or a fundraising concert to help out nursing homes that care for elders, promote it with professionally designed posters that send out a clear and loud message to the public. 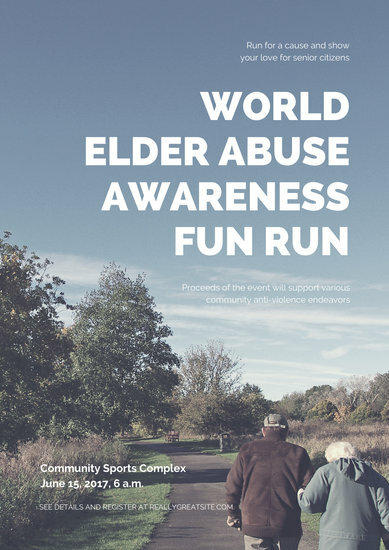 Canva offers a wide range of poster templates to help you create stunning and unique promotional material for the event you're planning. 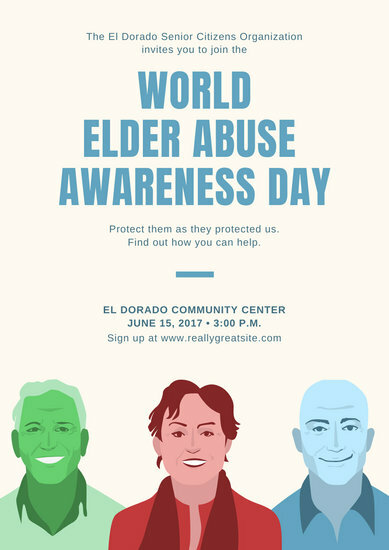 Select a design and use the quick and easy editing tools to change the poster's colors, background, borders, and other design elements you want to tweak. 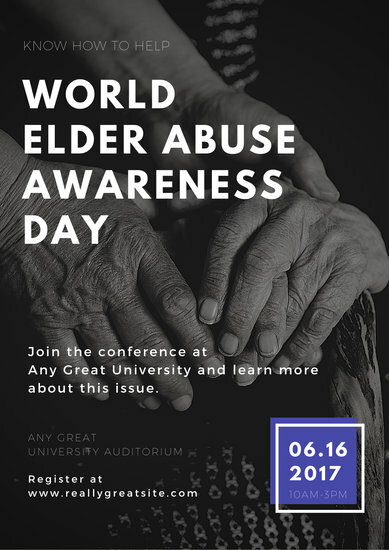 Add the event's name and its important details with the help of Canva's text tool and choose from over 130 fonts to make your poster stand out and get people interested. 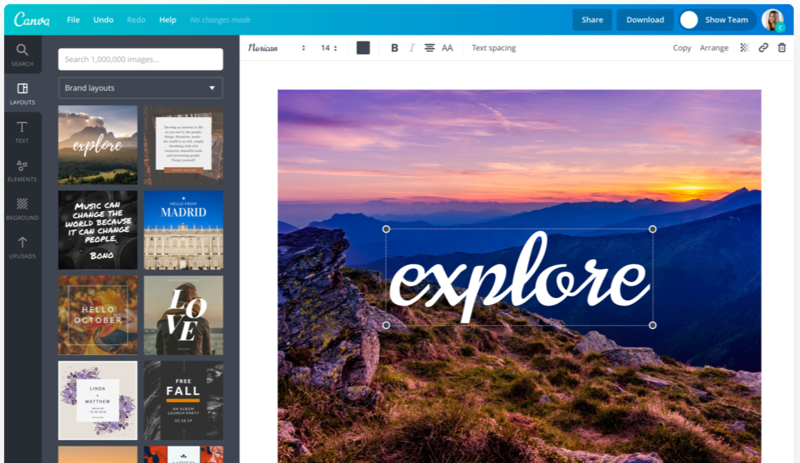 Browse through Canva's huge image library full of professionally shot photos that can definitely add a creative touch to your design. 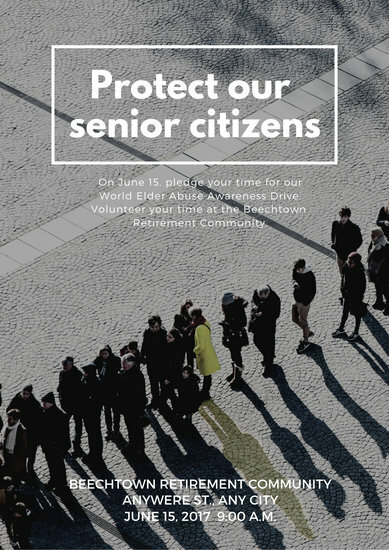 You can also drag and drop your own photos onto your poster to speed up your design process. 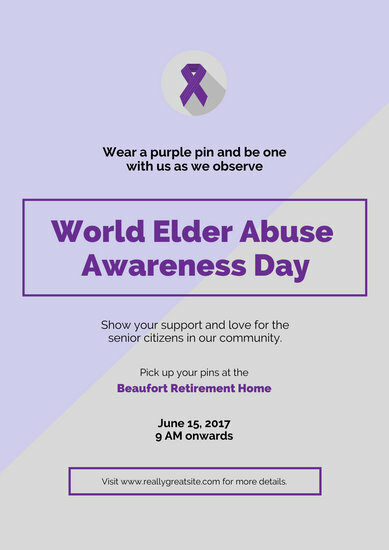 Once you're done, print out your poster or share it with people online to reach a larger audience.